Throughout the South, families like yours have more than your fair share of sweltering summer days – and often even melting hot nights. So while a 2011 Department of Energy report states that the average family spends 10% of their energy expenses on home cooling, you can be sure that your percentage is even higher. With 18 offices across Florida, Texas, Arizona and Nevada, BFS has an impressive relationship with all the industry’s top air conditioning brands. 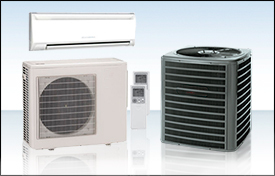 That means we can offer you very reasonable prices for a new central air conditioner, and that our technicians get factory training on how best to install and repair each unit. Our technician will assess the correct size system for your home’s size and energy usage, and then discuss what brands and products are best suited for your unique needs. We are always up-to-date on manufacture’s rebates, so if two brands are similar, we will advise you on which offers you additional savings to lower your investment costs. We can also compare your current annual energy costs and estimate how much money you will save in the future with your new highly efficient central air conditioning system. Of course you'll want to keep your system operating at top efficiency—that's why you should schedule a tune-up with BFS at least once a year. If there's any indication that your system isn't performing as it should, schedule a repair immediately so you don't end up sweltering in the heat! So whether you need to buy a new unit or have your current system serviced or repaired, we urge you to contact us today to get a FREE estimate. We’re the central air conditioning experts, and you’ll feel very cool – emotionally, physically, and financially – when you hire BFS to handle all of your a/c needs!